Andrea Chiou is a consultant in change management, team facilitation, agile and lean methods, and team and personal coaching. She blogs about her experiences at Adaptive Collaboration. 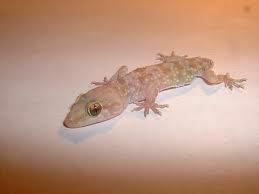 When we moved to Africa, and I was just going into 6th grade, I learned by observing that shooting off the tail of a gecko doesn’t do anything harmful to them. They do not bleed. They just grow the tail back. My brother used to do this with his little suction dart gun. There weren’t a whole lot of activities for young kids – we just used our imagination. I did try to stop him, but he was not stoppable. There were a few options: intervening when he was about to do it, finding the gun to hide it, or explaining to him that he just ‘shouldn’t’. I preferred the latter because it was easier for me to execute, but it was not effective. Logic doesn’t usually work to get people to change their behavior. So, what works? What is the root cause for the resistance people have to logic. I’ve been exploring these types of things to figure out how I can be effective as a change agent. One answer of several intriguing options is Clean Language - a very powerful coaching approach to help people discover new ways of thinking based on metaphors! Humans frame all experiences uniquely as we experience the world differently in the metaphorical landscape. To make a change in your life, a Clean Language coach helps a person or group discover their own metaphorical landscape surrounding a goal, issue, problem or idea. And that’s X like what? Try this yourself. Catch yourself wanting to respond with your own opinions or stories to someone who has just said something interesting. Imagine that they have more to say. Then pick one of the first two questions using a phrase or noun of theirs and see what it feels like to let them continue by asking them of these questions. You will consciously be allowing your conversation partner to develop their thinking. Simple. And good! You will become a better listener too. But a Clean Language facilitated session can be even more powerful. A Clean Language session involves ‘intense listening’ by the coach, and intense discovery by the person seeking Clean Language assistance. As a coach, not giving solutions is quite a mental challenge and takes practice. What a wonderful testimonial on the ‘regenerative’ power of using Clean Questions. Like the Gecko’s ability to grow back his tail, the capability to grow from expanding one’s metaphorical landscape is inherently human. For those of you who are still curious, there are a few options. One is: buy Judy Rees’ book, ‘Clean Language, Revealing Metaphors and Opening Minds’. That is where I started my learning. Another option can be to learn about it through a new web site Judy has created called Learning Clean Language. This site has video tutorials of Judy introducing the concepts of Clean Language. She is developing this site in a very agile way, with periodic releases, and ample feedback mechanisms so that she can help you learn and you can give her feedback on the site. You do need to register and create an account, but otherwise it is free. This post originally appeared on Andrea's blog on 4/11/2012.